Despite the speculation, I’m expecting Durant will remain with the Warriors. While winning a couple of championships (and possibly a third this season) takes a lot of the pressure off, and may set up a situation where he moves on in order to prove himself elsewhere as LeBron James did when he went back to Cleveland in 2014, it seems unlikely. I imagine Kemba Walker is staying put, and Ricky Rubio and Al Horford are good bets to remain where they are as well. The most questionable prediction is Kawhi Leonard re-signing with Toronto, but with the season they’ve had, along with the chance they have to rule the East for years to come, it’s not unthinkable. Enes Kanter returning to the Jazz was interesting to see, and perhaps not impossible. I could see Taj Gibson moving on from Minnesota with Tim Thibodeau gone, while Greg Monroe would be a solid pickup for the Spurs. Jeremy Lin has bounced around the league a bit, as has Trevor Ariza. In this reality, Boban Marjanovic hasn’t followed Tobias Harris, who is probably going to be highly sought after and would be a great addition for a rebuilding Mavericks team. Kenneth Faried’s career resurgence might draw the interest of a team like the Magic, while a team like the Clippers could give Carmelo Anthony one last run. Some bold predictions, but nothing too outrageous. 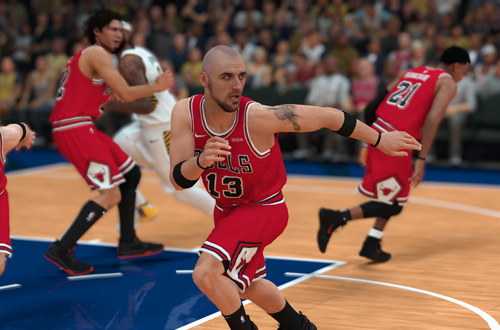 I was surprised to see my Bulls sign Marcin Gortat after winning the championship, particularly since Robin Lopez and Joakim Noah are still on the team. The Pelicans still have Anthony Davis, but I don’t see the real team surrounding him with Dwight Howard, Tyson Chandler, and Rudy Gay in an attempt to keep him. The Nets are on the rise, but I’m not sure about them being able to nab both Eric Gordon and Nikola Vucevic. Hassan Whiteside began his career with the Kings, so it’d be an interesting return, albeit unexpected. The same goes for the Javale McGee, Eric Bledsoe, and J.J. Redick signings. Something about those teams just doesn’t seem right. There’s a lot of talk about where Kyrie Irving will end up, but I doubt he and Patrick Beverley will join Trae Young in Atlanta. Klay Thompson, a Laker? It does seem unlikely. 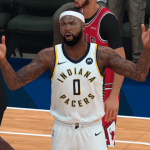 Dwyane Wade is done, though not in my game, where he missed the 2019 season. Al Jefferson, who just retired, replaces DeMarcus Cousins on the Warriors. The latter is now a Pacer, which is truly out of left field! The same can be said for Khris Middleton, whom I imagine the Bucks will be keen to re-sign; ditto for Jimmy Butler and the 76ers. 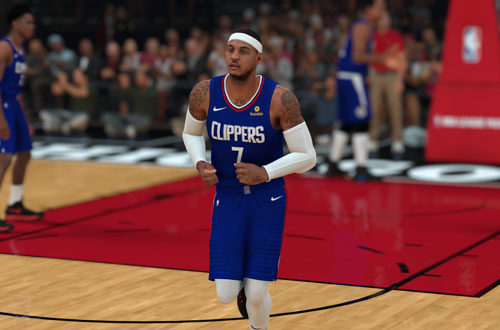 I don’t see Isaiah Thomas opting for a second stint in Cleveland, and Derrick Rose is back in form, so I don’t anticipate him retiring or going unsigned. 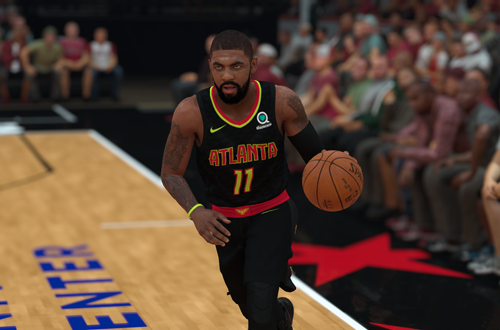 Overall, I’m not that impressed with, and rather sceptical of, the predictions that NBA 2K19’s MyCAREER has made pertaining to the 2019 free agency period in real life. I don’t see a lot of them being accurate, though a number of those players may indeed join new teams; just not the ones they’ve ended up with here. 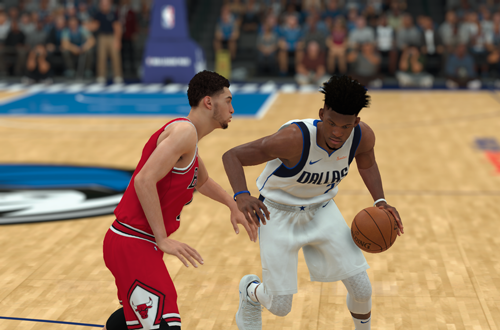 As far as what it’s meant for my experience on the virtual hardwood, it’s been interesting and amusing to see. With some big names now in unexpected places, it alters the landscape of the league, making for new matchups and a weird, fantasy future. 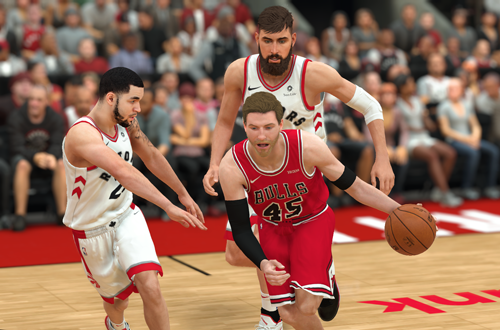 As for the Bulls’ future moves, I may have to start throwing my weight around, now that I can influence them.